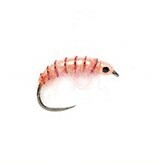 When the river runs cold and clear, pink can be a devastating color. Pink and purple patterns are beloved winter and spring favorites of guides working the great Western rivers, and this tie is no exception. 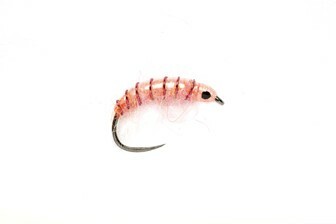 Deadly when dead drifted close to the river bed, the Dirty Pink Shrimp was originally designed to target grayling in Europe. Tactical hook is barbless and features a claw point.